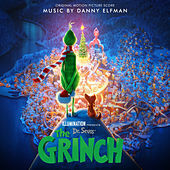 Danny Elfman and Tim Burton go together like Milk Duds and popcorn. But before Elfman was scoring movies for a grown up goth kid with his own production company, he was the leader of Oingo Boingo. What most of his fans don't know is that even Oingo Boingo was originally created for the sole purpose of a film soundtrack. Back in 1980, his brother Richard Elfman had made a film entitled The Forbidden Zone and had asked Danny to provide a soundtrack. He formed a band called the Mystic Knights of Oingo Boingo just for that purpose. The band engendered a cult following of new wave kids and cranked out some successful albums before Tim Burton hired Elfman to score his 1985 film, Pee-Wee's Big Adventure. 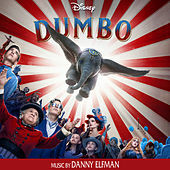 Elfman went on to work with Burton as well as with various other soundtrack projects including the theme song for The Simpsons.